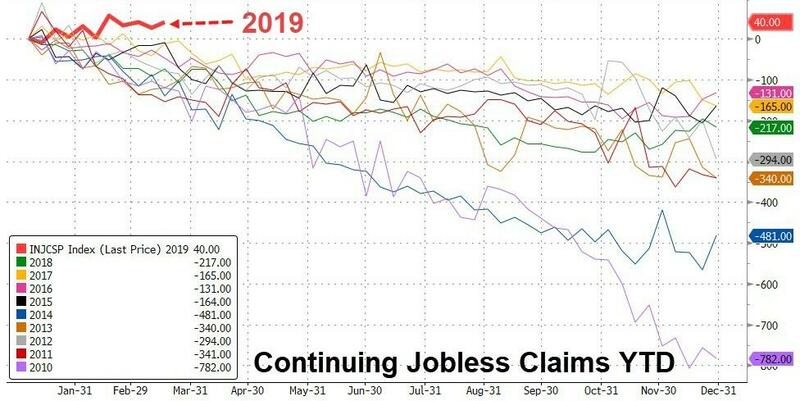 With economic data disappointing en masse and US equity earnings expectations plummeting, talking heads have one last leg left on the stool of buy-and-hold - jobs, jobs, jobs! The unemployment rate (low), participation rate (people coming back into the workforce), wage growth (rising at fastest pace in 10 years), initial jobless claims (back near multi-decade lows), and JOLTS (more jobs offered than people available). 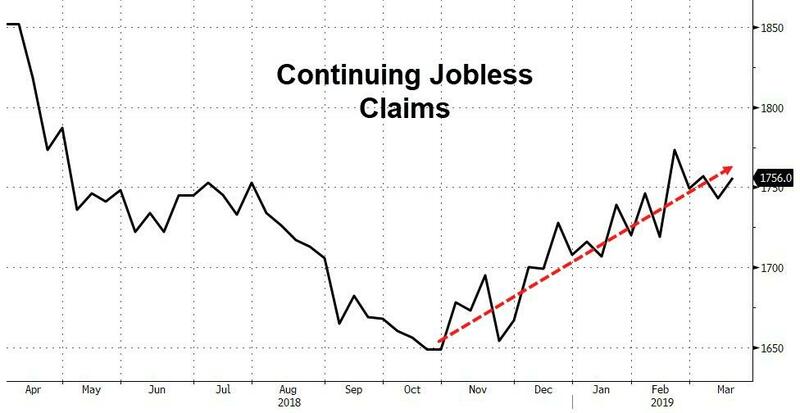 So, why are continuing jobless claims surging in a not-noisy manner higher for the last six months?